Young, fearless, with impeccable taste, the wearer of Gucci Guilty Pour Homme is a hero for our age, exuding charisma and more than a little dangerous. 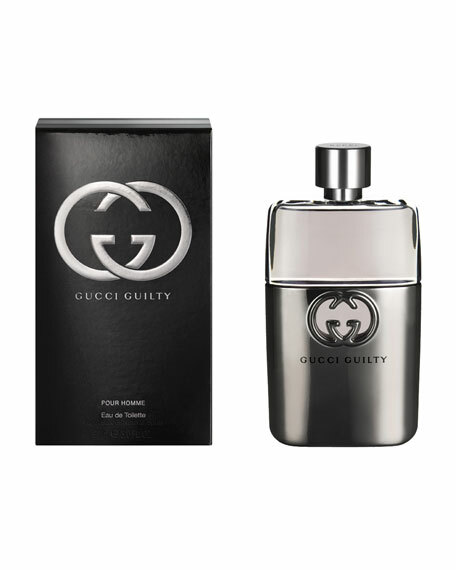 Gucci Guilty Pour Homme is an intense and individual contemporary fougere that provokes as it seduces. The scent seizes hold of the senses with a heady cocktail of invigorating Italian lemon and mandarin alongside crushed green leaves, fresh lavender and a defiant punch of pink pepper. The effect is both remarkable and uncompromisingly alluring.